For those who are planning to go to Korea, don't forget to go to Jeju Island. Jeju Island is the largest volcanic Island in Korea and there is the highest mountain in Korea called Mount Hallasan in Jeju. Jeju is a tourist destination boasts mild weather, as well as scenic beauties of beaches, waterfalls, cliffs and caves. 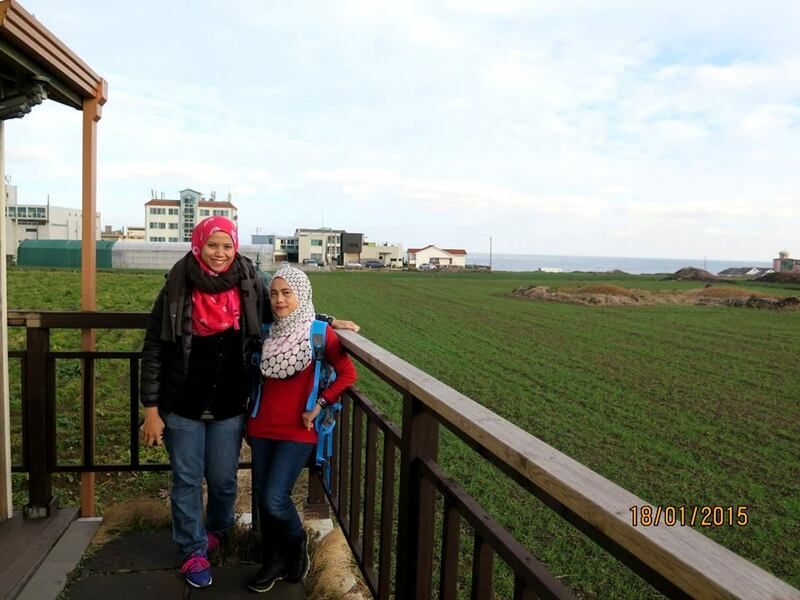 Jeju is really really awesome place to visit. So, you have to plan your visit accordingly. I suggest you to spend 4 days in Jeju so that you can explore every parts of Jeju. I went to Jeju on January this year but we only spent 2 days and 3 nights there which is for me its not enough because we missed a lot of place like Manjanggul Cave, Halim Park many more. We went there on winter and I thought that we will going to have nothing to do during winter but I was wrong. There is a lot of place to visit in Jeju. 2 days is not enough! So, now let me help you how to plan your journey in Jeju. First, you have to study about Jeju Island... The maps especially. You have to know that in Jeju, all shops and attractions will close at 9.00 pm. So, you have to plan your visit accordingly. 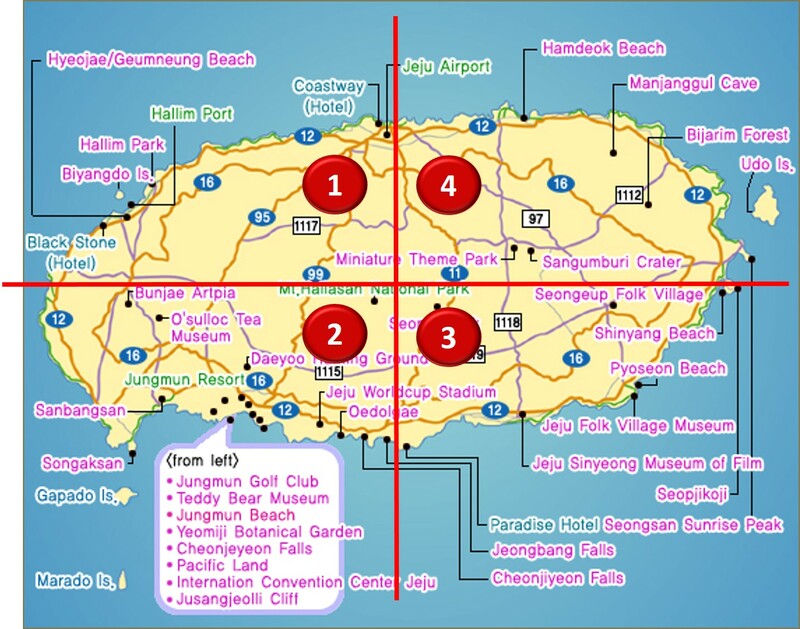 There is nothing much to visit at area 1 (West Jeju City) so that you will have time to cover that area if you arrived at morning. You can start your day at West Jeju City like Halim Park, Gumneoung Beach and check in at Black Stone Hotel. And then you can start your day 2 from there and cover West Seogwipo Area. Arrange your itinerary according at Seogwipo because there are a lot of attractions at this area. You may don't want to miss all the attractions, right? Roughly, there are a lot of museum and waterfall at Seogwipo. At East Jeju City, there are nice cliff and cave while at the center of Jeju, you can find Mount of Hallasan or you may add another one day to hike at Mount Hallasan before you leave jeju Island. The best time to hike at Mount Hallasan is during winter. I really love winter at Jeju.